AMDA | AMDA News - AMDA LA Announces Jason Alexander as Graduation Speaker! 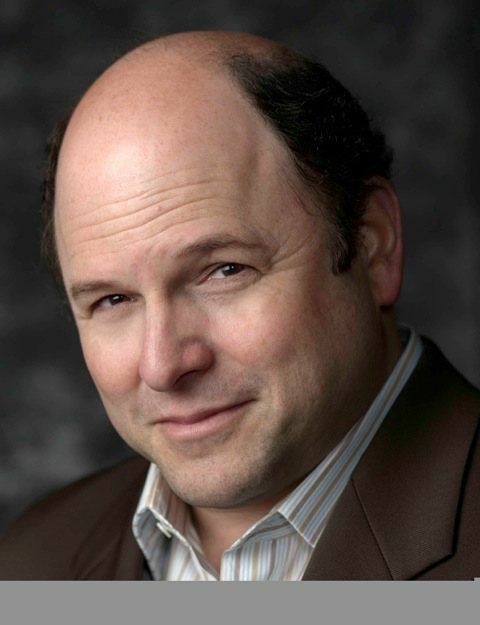 AMDA LA is beyond thrilled to welcome Jason Alexander as guest speaker for our coming graduation ceremony! Jason Alexander is probably best known for his nine-year, award-winning stint as George Costanza on the hit TV series, “Seinfeld.” The show was recently voted the number one show in television series history, including Jason as one half of television’s most beloved duo of George Costanza and Jerry Seinfeld. However, those who know him only as George will be surprised to learn of his extensive background as an actor, director, producer and writer. Besides “Seinfeld,” his television credits include: “Bob Patterson” (producer/co-creator); “Listen Up” (producer); the TV films of Bye Bye Birdie, The Man Who Saved Christmas, Cinderella, and A Christmas Carol; guest appearances on “Community,” “Harry’s Law,” “Criminal Minds,” “Friends,” “Monk,” “Star Trek Voyager,” “Malcolm in the Middle,” “Curb Your Enthusiasm,” “Two and a Half Men”; and multiple episodes of the animated series “Duckman,” “Aladdin,” “Dilbert,” “American Dad” and “Dinosaurs.” His film credits include: Pretty Woman; White Palace; North; Dunston Checks In; Love, Valor, Compassion; Rocky and Bullwinkle; Ira and Abby; Hachi: A Dog’s Tale; and the upcoming Lucky Stiff. Jason has starred on Broadway in the original companies of Merrily We Roll Along, The Rink, Broadway Bound, Accomplice and Jerome Robbins’ Broadway, for which he won the Tony, Outer Critics and Drama Desk Awards as Best Actor in a Musical. He also authored the libretto of the show, which received the Tony Award for Best Musical. Recently, Jason starred as Noah in the York Theatre concert revival of the Richard Rodgers musical, Two By Two. On the Los Angeles stage, Jason most recently starred in the Reprise production of They’re Playing Our Song as well as productions of: I Love My Wife; Give ’Em Hell, Harry; Defiled; The Producers with Martin Short; and the very first Reprise production, Promises, Promises. He went on to serve as the Artistic Director of Reprise for five years, producing more than 30 full-length musicals and events. Jason has directed in every medium: television (“Franklin and Bash,” “Seinfeld,” “Everybody Hates Chris,” “Criminal Minds,” “Mike and Molly”); film (For Better or Worse and Just Looking); and stage (The God of Hell at the Geffen; Sunday In The Park With George, Damn Yankees and The Fantasticks at Reprise, and countless benefits). He recently directed the world premiere of a new stage revue, When You’re In Love, The Whole World is Jewish, in both Los Angeles and San Francisco. Jason performs around the country in his several one-man shows, including: The Donny Clay Experience — which has played two successful runs in Las Vegas to unanimous critical success — and, currently, his own Evening with Jason Alexander and His Hair. As an author, he penned the children’s book, Dad, Are You the Tooth Fairy? He has won the title of Parlour Magician of the Year at the prestigious Magic Castle and he is a noted player in the celebrity poker circuit. He is also a respected teacher of acting and has taught at major universities around the country and the globe. Jason resides in Los Angeles with his wife Daena and their children, Gabriel and Noah.